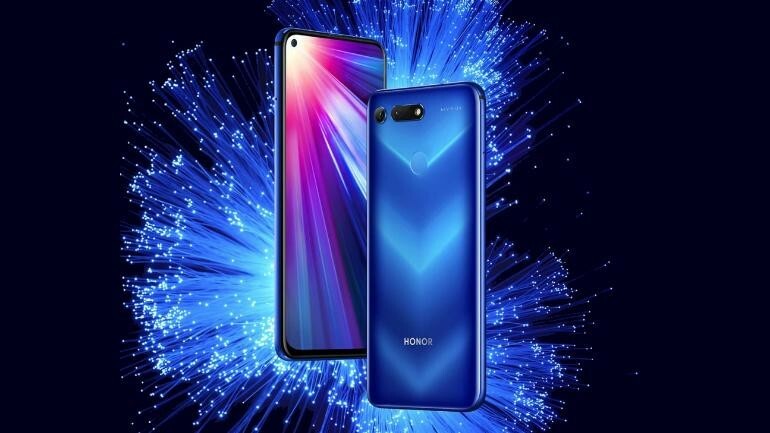 Honor has announced the launch of its new premium phone, the Honor V20. The device is powered by Huawei’s top of the line Kirin 980 SoC, and features a punch-hole camera design. There's a dual camera setup that includes a 48 MP sensor at the rear, a 25 MP selfie shooter at the front, and a 4000 mAh battery. All for under US$450. Much has been said about the Honor V20 over the past few weeks. At an event a few hours ago, the company finally launched the device for the Chinese market, with it billed to go on sale on December 28. 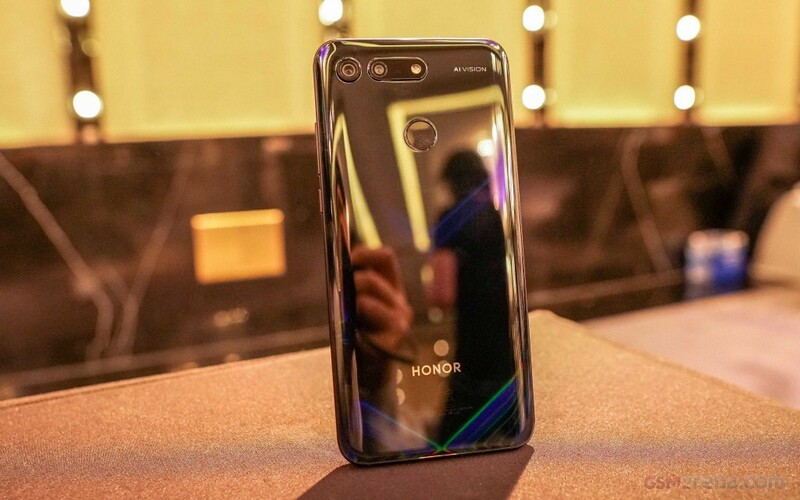 Honor is Huawei’s youth-oriented, high-value sub-brand, and the company managed to tick most of its boxes with the V20. The V series of phones have generally been something of a budget version of the Mate line, and the V20 is no different. The V20 sports a 6.4-inch FHD+ LCD display. At the top left corner of the display is a camera hole, similar to those on the recently launched Huawei Nova 4 and Samsung Galaxy A8s. Supplying the device with computational power is the new Kirin 980, Huawei current-gen flagship SoC that can also be found on the Mate 20 phones. Camera wise, the V20 is a bit disappointing. 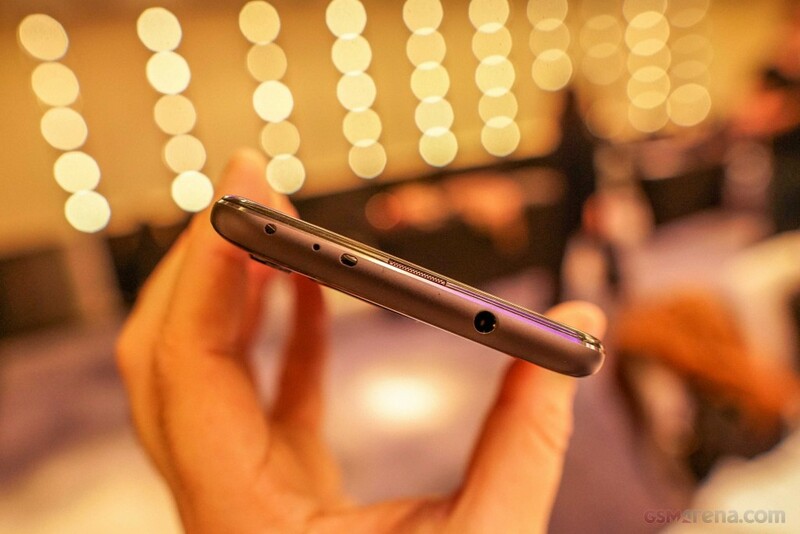 It sports a dual rear camera setup—most expected to find three cameras. 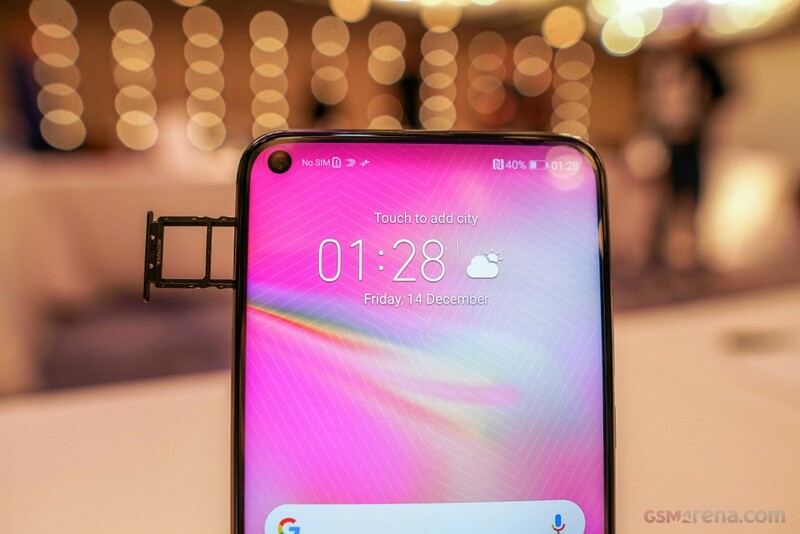 The dual camera setup manages to also be unimpressive, on paper at least, as it comprises of a 48 MP Sony IMX586 main sensor, and a secondary ToF (Time of Flight) sensor for depth sensing. Huawei has taken to cramming in massive batteries into its flagships, and the V20 continues that trend. It features a 4000 mAh battery, with 22.5W fast-charge keeping charge times down. There is a 3.5mm headphone jack present. The V20 sports a fancy glass back with a rear-mounted fingerprint reader, and comes in color options of Red, Blue, and Black. According to the company, Huawei’s new The Nine liquid cooling technology keeps the CPU working at peak performance without throttling. 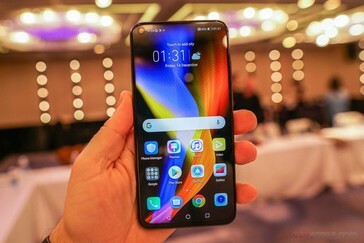 On the software side, it ships with the Android Pie-based Magic UI 2.0 in China, but will come equipped with EMUI 9.0 as usual in the global market. Some other new features include GPU Turbo 2.0 and Link Turbo for seamlessly switching between WiFi and LTE. The V20 comes in two models, one with 6 GB of RAM and the other with 8 GB. Both ship with 128 GB of storage. The 6 GB model has a price tag of CNY 2,999 (US$440), while the 8 GB SKU will set buyers back CNY 3,499 (US$510). It will be launched for the global market an event in Paris on January 22.